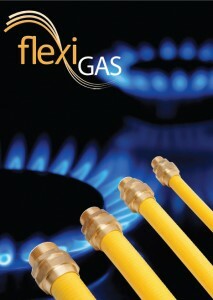 The world’s leading semi-rigid stainless steel flexible gas pipe tubing. Sole Heat Limited have been awarded distribution rights online within the UK and we are ready and waiting for your enquiries. HotFloors introduce FlexiGas™, flexible stainless steel semi-rigid gas tubing designed for domestic and commercial gas installations. Due to the numerous benefits, FlexiGas™ is the expert choice for plumbers who are looking for an efficient, lightweight, flexible alternative to rigid copper or steel.